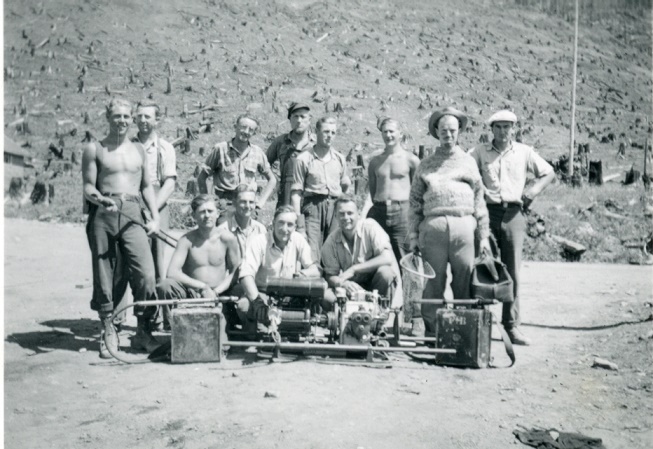 Firefighting in British Columbia was one of the tasks assigned to Canadian conscientious objectors (COs) during the Second World War. They were ‘the best firefighters we ever had,’ according to Jim Pedly from the forestry service. From spring 1942 to spring 1944, the COs spent 4,875 days training and on standby, and 8,470 days fighting 234 forest fires. Fighting fires in the B.C. forests with simple equipment such as that pictured must have been hot, dirty and tiring work. The men came away from their CO experiences with many new friends and with a new appreciation for service and country.